One of several collaborations between architect H.H. 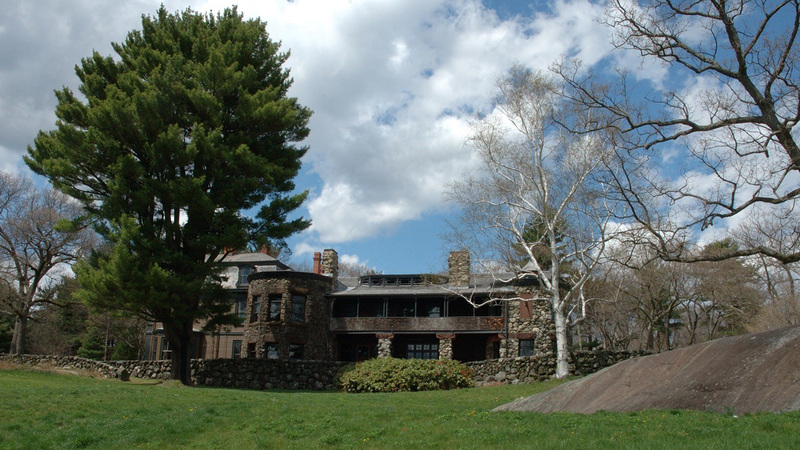 Richardson and landscape architect Frederick Law Olmsted, Sr., the estate was completed in 1886. 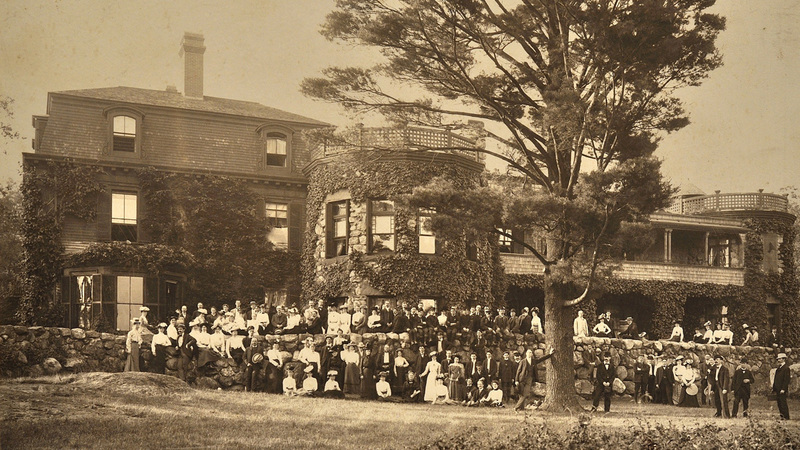 Stonehurst was the home of Robert Treat Paine and his wife, Lidia Lyman Paine, social reformers who advocated for better housing and education for workers. Paine lived at Stonehurst until his death in 1910. 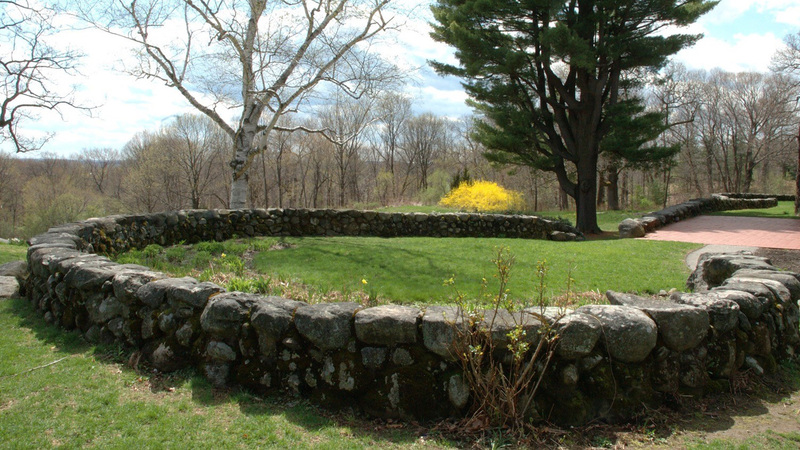 The estate remained in the family until 1974 when Paine’s grandson, Theodore Lyman Storer, donated the house and grounds to the City of Waltham, Massachusetts. 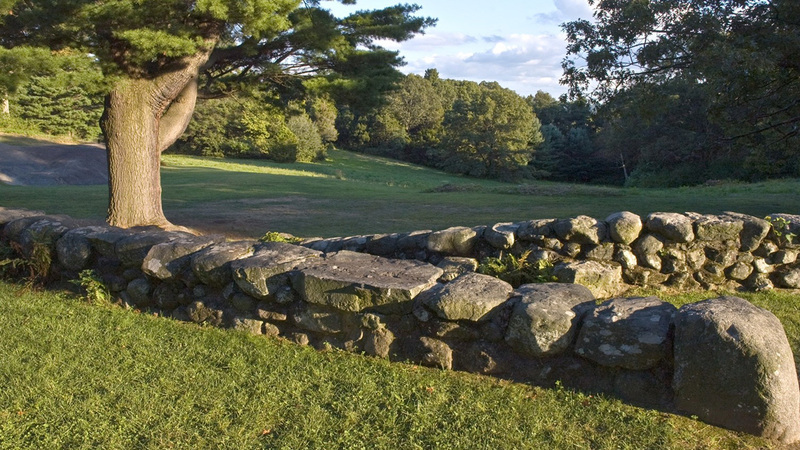 Stonehurst comprises 109 acres of rolling meadows and glacial forest pierced by several trails. Winding drives and paths lined with oak, chestnut, pine, azalea, rhododendron, and mountain laurel create a dramatic approach to the iconic Shingle Style house, which is hidden from the surrounding streets. A prominent feature of the property is the elevated, curvilinear southern terrace designed by Olmsted, Sr. This massive wall of glacial boulders unifies the house and the surrounding landscape, its rock outcrops seeming to meld with the architecture. 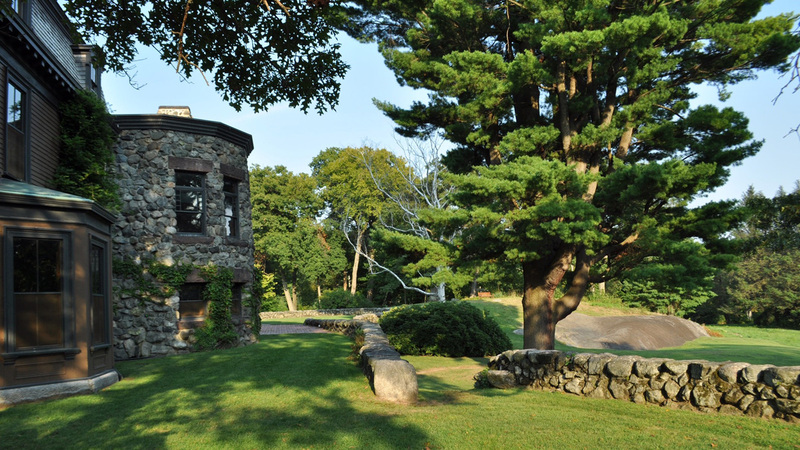 Olmsted, Sr.’s, influence on the landscape extended beyond its original design. He instructed Paine on how to care for the estate, giving him “lessons in forestry” on the property’s northern woodlots. Olmsted, Sr.’s, successors also impacted the landscape, including John Charles Olmsted, who in 1886 wrote to Paine about transplanting trees from nurseries in the western United States to the property. Olmsted, Sr.’s, first apprentice, Charles Eliot, whose father was Mrs. Paine’s first cousin, made subsequent improvements to the entry drive. 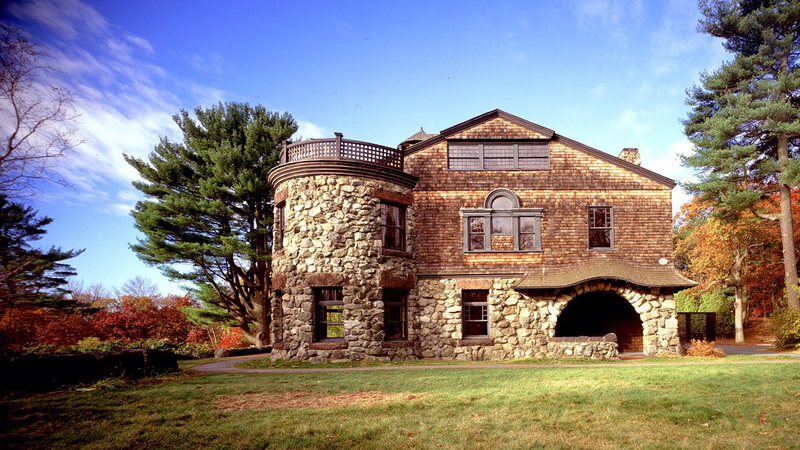 Stonehurst was designated a National Historic Landmark in 1989.